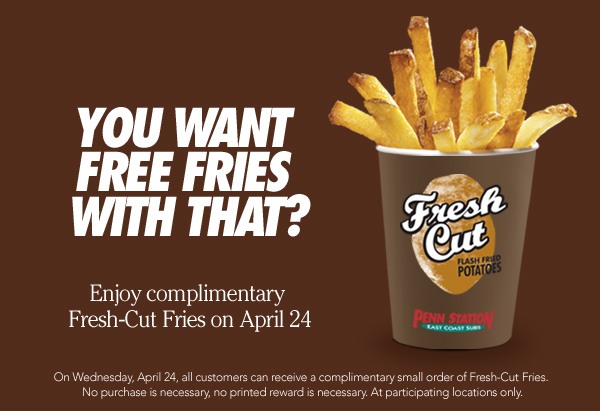 Penn Station East Coast Subs is holding a fan appreciation event Wednesday, April 25 – Stop by anytime to receive a FREE small order of fresh-cut fries. No purchase necessary. One per customer. Dine-in only.